I confirm that the content and the pictures on this site, all belongs to Indianbeautyforever.com and the owner. Images from the Google sources are mentioned appropriately where ever used and the content used will be given due credit which is mentioned as Image source with a link from where the image has been taken, still if it belongs to you, then you can let us know and it will be removed immediately! Content and images are subjected to copyright and before duplicating them prior permission from the owner is mandatory. Kindly do not copy or reproduce content from here in any manner. Reviews are always honest and it does not matter whether they are PR sample or bought my my own or writer's money! Beauty and makeup products are reviewed in the pros and cons format with the appropriate swatches and the pictures with a rating on a scale of 5. 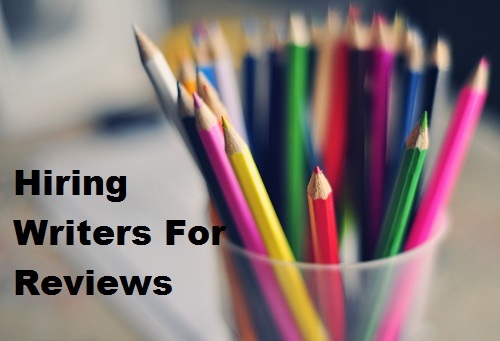 Product reviews are based solely on the writer’s experience and expectation and are not liable to anything. Reviews are written as per the consumer’s point of view. Disclosure Where ever, you may find links/widgets to any online shopping sites, I genuinely recommend that site and if you do that I will be getting some percentage of that. We are hiring guest writers who are as passionate about beauty and can do makeup and beauty product reviews. Only for reviews. You should give us reviews that should at least have 450 words and written in pros and cons format. Do send us at least 5-6 pictures clear original pictures of the products, rest we'll do, the cropping and watermarking etc. No blurry mobile phone pictures please. The review that you'll send should be original and not copied from anywhere else. same goes for the images. Copied images or content are a strict NO! You need to send a list of products you would like to write on, so that we can see if that has not been already covered or already planning to do a review on, that way thing will be more streamlined. Payments will be done at the month end by calculating number of your reviews that have been published in that particular month. If the review is good and needs no improvisation, It will be published soon. You should have a valid bank account in which you want your payment to be transferred to. If we don't accept your reviews or hire you, please don't take it to heart, there are certain parameters that we have to look upon! You are always welcome to ask for further improvisations/clarifications.